On Halo: Reach I was the art lead in charge of the multiplayer space station map called Condemned. 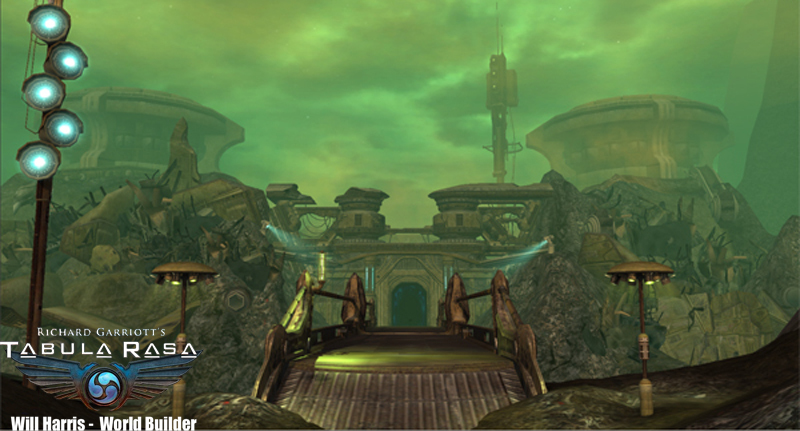 I also contributed environment art and skybox work to the other Defiant maps. On Call of Duty: Black Ops, I was an environment art sub-lead of the Certain Affinity team. I worked on the Havana MP map, managing junior artists. I received the map after Treyarch’s level team had completed the level design layout and I went about the task of transforming it visually from Cairo, Egypt (Pyramids and all) into Havana, Cuba. I also worked on the first Black Ops map pack, where I contributed props and skybox work to the Zombie co-op map, Ascension. I worked remotely on this PS Vita game from Austin, TX for the good folks at Nihilistic Software in San Francisco. It was a great experience and a challenging project. The hardware limitations of the handheld device made it very difficult to make compelling multiplayer spaces. I had to resort to some pretty zany tricks to make levels that were big enough for 8 people to run around in while keeping the sight lines very short in order to keep the frame rate from tanking. I worked as an Environment Artist on a multiplayer map called Battery for DLC Pack 3. Mike Clopper starred as Level Designer. The map is based loosely off of Fort Drum, “the concrete battleship” from WWII in Manila Bay, Phillipines. Certain Affinity created all of the MP levels for the 2nd DLC pack for Call of Duty: World at War. On this project, I worked as a Level Designer on the Sub Pens map and then worked on the map, Banzai, as the Environment Artist with Steve Massey starring as Level Designer. Activision and Treyarch tapped Certain Affinity to co-develop the multiplayer for Call of Duty: World at War. I joined Certain Affinity at the very beginning of the project and had a blast working with a great team of artists and designers creating levels for a major franchise. I worked on 3 of the 4 vehicular maps, Downfall, Outskirts, and Roundhouse. For most of the project, I was a level designer, but after level designs were complete, I transitioned over to environment art in order to assist the severely understaffed art team. Here are some samples of areas that I worked on for Call of Duty: World at War.